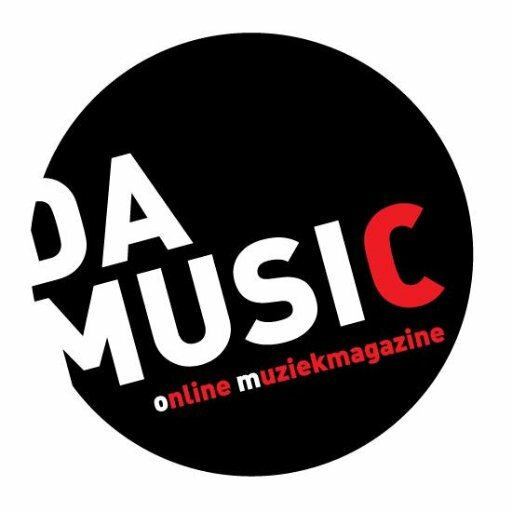 Disclaimer: these reviews were originally published in Dutch, and then translated by us. The Dutch tribute is more than just an ode to H.N. Werkman. It seems that The Dutch have a surplus of inspiration. Some time ago their revival album ‘Four’ was released, which is now supplemented with a mini-album. If you thought that ‘Werkman’ stands for the working man (as we initially did), you are wrong. H.N. Werkman was in fact the printer and artist Hendrik Nicolaas Werkman (1882 – 1945), who shook cultural Groningen with the art circle “De Ploeg”, and by extension the Netherlands. 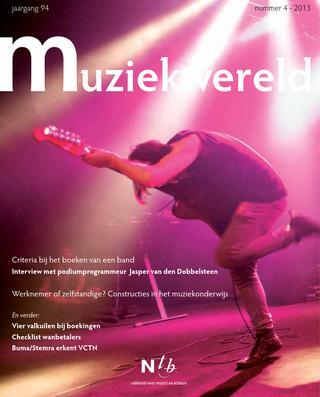 Just like NITS, the members of The Dutch try to bridge the gap to other arts than music. And you can be sure that they have succeeded in that goal. Because – and we admit that – although we initially guessed this was a quickie after the previous record, it turned out to they had thought hard about ‘Werkman’. And the songs are accordingly: pleasant to listen to, fun to dive into. That diving has to do with the background, which we would like to let you discover further. Or, if you are too lazy, you can also read all the details here. But the music, that’s what it’s all about. And with So Long H.N. Werkman, The Dutch immediately captures you in an accurately tensed network of exciting pop music and clever lyrics. Life and work of the artist is revealed and supplemented with funny, nonsense poetry by Job Cohen. As if they were trying to capture the out-of-the-line colouring by Werkman in text (and get away with it). Sunday Afternoon is equally beautiful. Hans Croon knows how to capture the carefree Sunday afternoon feeling – everything is allowed, nothing on your mind – perfectly in his text. The song does the rest. In Spellbound, again plenty of reference to the artist. And again this is a beauty of a song. Also Out Of Your Mind and By And By Astray do what pop songs have to do: keep you on the lesson, but also offer relaxation. The more often we impose this picture, the deeper we are dragged into it. And that is euh … art. It’s a bit odd. A pop group that calls itself The Dutch and sings in English about a purely Dutch artist, H.N. Werkman. At the same time it is especially beautiful, such a cultural cross-fertilisation. Pop culture as a bridge to cultural heritage. And from Paradiso to the Groninger Museum. Werkman – Hendrik Nicolaas – was one of the artists who passionately collaborated with the introduction of modernism in the Groningen art world of the twentieth century. Printer – his primary profession – but also a graphic artist, painter, poet and (letter) writer. Those letters are the most dear to me personally. In his letters from the war years published, in the “private domain” series, when he is already in his sixties and a recognised artist, his doubt still continues. That feeling of doubt whether or not he really belongs somewhere: too ‘artistic’ and therefore too ‘eccentric’ for ordinary civilian existence, but at the same time constantly feeling that he is not esteemed in artistic circles and is considered a bourgeois craftsman. It is Willem Sandberg who, in the last years before the Second World War – Sandberg is then curator and deputy director of the Stedelijk Museum Amsterdam – gives Werkman his long-desired recognition, work – who buys ‘druksels’ (‘printings’) – from Werkman and introduces him in metropolitan art circles. In the letters from the early 1940s, you can read how Werkman slowly but surely becomes more confident, while at the same time the German occupying administration pulls an increasingly dark veil over the country. Anyway, do not expect that kind of speculation on the just-released mini-album ‘Werkman’ by The Dutch, which has a beautiful and very representative ‘print’ of the artist from 1925 as cover, and has, next to the title song ‘So Long H.N. Werkman’, two more songs that are related to the Groningen artists’ group De Ploeg, of which Werkman was a member. In the eighties The Dutch was a rock group with not so much a remarkable own musical sound, but with a distinctive attitude towards writing songs. Of the three albums that the group released at the time, only one song really remained: The within the Dutch context overly engaged song ‘This is Welfare’, which reached the 25th place in the Top-40 in 1983. As a matter of fact, during that period the affinity of singer / guitarist Hans Croon with the visual arts was already clear. In 1986 he contributed to ‘La Grande Parade’, a project initiated by Nits singer Henk Hofstede – named after a large exhibition in the Stedelijk Museum Amsterdam a few years earlier and resulting in an LP that received a lot of media attention. A comeback album from The Dutch in 2016 went almost silently, but with ‘So Long H.N. Werkman’ the group has a song that sticks. It has a nice angular intro and an almost ‘blocky’ opening verse that evokes associations with the famous ‘prints’ of the artist and then turns into a Dadaist poem sung by Job Cohen. The result is pleasantly alienating and worthy of Werkman. The Dutch is not the first pop group that found inspiration in H.N. Werkman. In 2015 an album with the title ‘Werkman’ by Meindert Talma & The Melisma Saxophone Quartet was released. This involved a complete Dutch-language song cycle, written and composed by Talma, in which the Frisian Groningen sings the artist’s life more or less chronologically. In this, like The Dutch, he lends poetry from Werkman here and there and adds his own inimitable rules. For example by matching ‘one-man push-button’ to ‘a failure’ and lines such as ‘My first wife called me poodle; if I think of it, my eyes will become cloudy.’ But also by characterising the printer and artist in a nice way as ‘explainer of the unexplainable’. In the end, Talma’s music is more moving than The Dutch. But art is not a competition and music isn’t either. The Dutch language character of Talma may initially seem more authentic, but Werkman himself sometimes also published in English. And what binds them both is the contagious fascination for the Groningen artist who moves the listener inexorably. What is left of both the work about the artist and that of Werkman himself is the enthusiasm and open-mindedness, the daring to experiment and at the same time the constant uncertainty about it. It is only during the war years that he dares to feel a true ‘artist’. But then, in March 1945, he was suddenly arrested by the Sicherheitsdienst. To this day it has never been clear what the immediate reason for this was. A month later, three days before the liberation of the Northern Netherlands, Werkman was executed in the woods near Frisian Bakkeveen. He could already hear the footsteps of the Allies approaching, so to speak. Still in the Liberation Year, Werkman gets his first major retrospective exhibition at the Stedelijk in Amsterdam thanks to Sandberg. Since then, every generation seems to discover him again. He represents the sincere wonder that is the essence of all true art. Still. So Long H.N. Werkman. 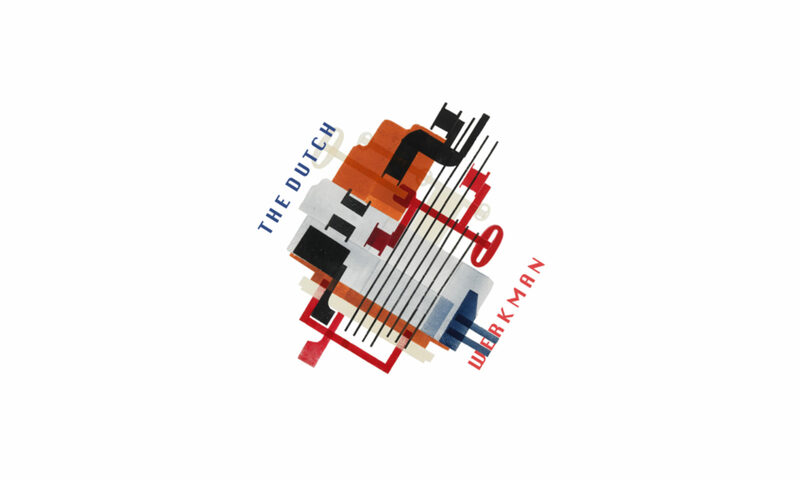 Inspired by the Groningen artist collective De Ploeg, the new wave band The Dutch (known from the 80’s single This Is Welfare) recorded the mini-album Werkman, with special attention for printer and artist Hendrik Nicolaas Werkman. Such as the opening track So Long H.N. Werkman, in which Job Cohen recites a poem by Werkman and in which the video clip is made in the style of his paintings and prints. With Werkman, The Dutch shows how music, poetry and art can melt together in a very special way. A versatile work of art! The Dutch was one of the best Dutch bands in the first half of the eighties. With intelligent, well-composed songs and a reasonably accessible sound the quartet made their mark, even without scoring really big hits. In 1987, the band split up and for years it seemed that the back catalogue would be confined to a few compilations and a recurring spot on retro playlists. Two years after a one-off reunion gig at the Amsterdam venue Paradiso there is a new record: Four . The Dutch are, as in the best years, Hans Croon (vocals / guitar), Bert Croon (keyboards / vocals), Klaas Jonkmans (drums / vocals) and Jan de Kruijf (bass guitar). The music on the album has little resemblance with the sound of that time. As there was, and is, no “formula” yielding a typical Dutch song, Four can not be simply classified as ‘indie’, ‘rock,’ ‘new wave’ or ‘pop’. It is all that and a little more. Hans Croon’s pleasant voice is in any case well in shape and just like before, it gives the band its specific sound. With fourteen songs, Four is quite richly endowed but that means there’s a lot of things happening on the album. 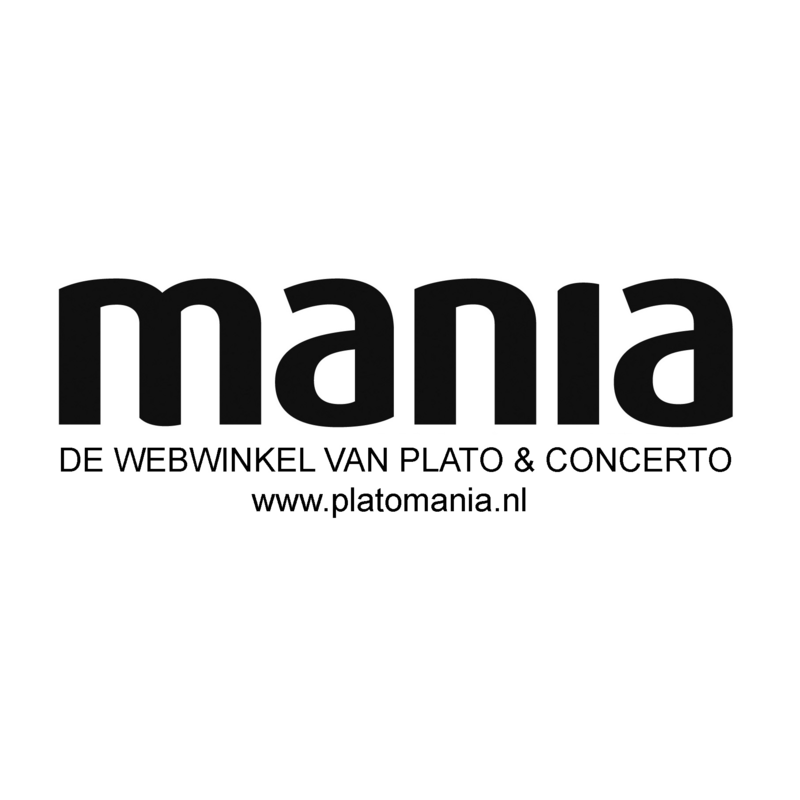 We did not expect anything else, of course, though it is nice to still be able to add some new highlights to the Dutch-discography anno 2016. That certainly applies to Brighton & Hove, a particularly nice ode to a tolerant, open city: “Anything goes in Brighton & Hove”. Also Isle Of U is great. Here enter the horns, that regularly assist the band on this album. Fine Shields We Are is the bold single. Fine motifs and guitars color this song that denounces ‘fortress Europe’. Pretty soon the continent will be a minefield. “It’s cold outside / So come in and hide.” Left Of Centre is a beautiful acoustic ballad ( “Everyone else in the world turning right, but I’m left of center). Basically Your Love is about aging and its lingering, moody character, strings and organ reflect a moment of peace and introspection. And that’s not all. Money , the rocking opening song, is great and in other songs The Dutch sound remarkable, as in Is This Your House somewhat an extension of the work from the eighties, or the smooth, well-sounding pop-rock of Mr. Taxi Driver and This Train Is About To Explode . No lack of inspiration therefore in the band that said they probably should have stayed together in 1987. Anyway, The Dutch are back on stage at the Paradiso (Upper Room) December 1st, backed by a considerably longer discography than before. Resulting in another fine set list full of new and old songs. The show is sold out by now. The Dutch started in 1979 as a new wave band. The general public knew them especially from the catchy but modest hit This Is Welfare and their live performance in 1983 at the great anti-nuclear demonstration on the Malieveld in The Hague. In 1986 it was over … at least, so it seemed, until 2014, when a few of their albums were re-released digitally by Sony. The band came back together for what seemed a one-off gig at the Amsterdam Paradiso. But that went so well that they decided to write and record new material. The result is ‘Four’. There are fourteen catchy pop songs on the album, intelligent, musically and socially engaged as before. The compositions, arrangements, production and sound are entirely contemporary. Singer Hans Croon has left his ‘new wave’ voice in the archives and produces a new unique sound on this record. The same applies to the whole group that has reinvented itself musically with this CD. A strong comeback, this fourth album! You may know The Dutch from the Dutch pop classic “THIS IS WELFARE” in 1983. After this single, the band went on for a number of years, but they could not repeat their hit success, although “ANOTHER SUNNY DAY” in 1985 came close. The Dutch broke up, and the members continued to do make music, but not under the name The Dutch. 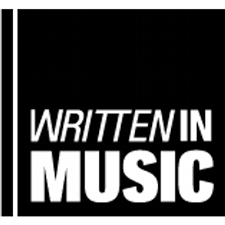 In 2014, record label Sony released the albums “THIS IS WELFARE” and “UNDER THE SURFACE” again through the digital media. The band did a one-off show to promote the re-releases and ultimately the studio technician Wout de Kruif urged the band to come together again. The result is “FOUR”, the new album by The Dutch. You hear a sprightly band that does not stick to one style. There are strings, winds and various percussion instruments in the songs, which emits a dazzling palette of styles. It’s all incredibly well composed and then I still haven’t mentioned the lyrics. Political (“FINE SHIELDS WE ARE”), very personal (“FATHER”), but also narrative texts can be heard during the 14 tracks that pass in over 53 minutes. It all sounds good, there is good musicianship and Hans Croon has a sometimes fragile, but also distinctive voice, giving the songs their distinctive quality. The Dutch are back and we can be proud of it! Almost forgotten, but wrongly, as it turns out: The Dutch! The Dutch, successful for a short while in the eighties with that still outstanding album This Is Welfare, on which among others a catchy, piano nominated title track, reminiscent of the best of Joe Jackson. That band is now back, after thirty (!) years. The angry young men have now become middle-aged men. Although the original enthusiasm had ended in a split, the musicians remained restless and so the foursome around the brothers Hans and Bert Croon went back to work. Four is the result. First observation: the bright piano sound on This Is Welfare that we were so charmed by and fell in love with is gone. Bert Croon’s piano is still there, but it’s more hidden. And then you’ll find it in a track called Basically Your Love. But what’s lacking is a little panache. Not counting the cameo in Mr. Taxi Driver. The woolly bass sound, so typical of the eighties, can be heard in the beginning of Is This Your House, but it has largely disappeared otherwise. As frontman and guitarist Hans Croon says in the booklet, The Dutch from the eighties is different from the new Dutch. And we respect that. It is also true that this record is nothing like what they did in those years. Somewhat regrettable, but also courageous. In any case, there’s no lack of inspiration. Four contains fourteen songs and about fifty minutes of music. And the feeling for song writing is still there. The truly adventurous may have disappeared a little, it starts promising. More than that, we were surprised when Hans Croon’s guitar in the opener Money pulled us into the music. Something he even repeats in the single Fine Shields We Are. In Brighton And Hove, the (female) backing vocals and crisp guitar solo hold the attention. At the end Bye, Ministry Man even recalls Bungalow Bill (The Beatles). And the horns in Father are enjoyable and enriching. They don’t reveal their secrets right away, these songs. However, we must admit that in between they sometimes lose us, perhaps because of the length of the album. These are songs that were made with craftsmanship. Perhaps they are hard to find in the extensive musical landscape that nowadays you have to search looking for the icing on the cake. But still these are fine pop songs, which will definitely stimulate your neurons if you give them some time. Between 1979 and 1986, the Amstelveen based pop group The Dutch was active. Their second album, a mini with five songs, held the hit single This Is Welfare, beloved in national radio station Hilversum 3 on the days Vara and KRO aired. The quintet was known as intelligent, professional and musically gifted. Two years ago, the members of The Dutch decided to reunite with an eighty percent identical lineup, only guitarist Klaas ten Holt missing. Hans Croon wrote the lyrics for the fourteen new songs and composed the music together with his brother Bert Croon (keyboards, vocals), Jan de Kruijf (bass, keyboards, guitar, programming) and Klaas Jonkmans (drums, vocals). The men seem to have left the new wave sound behind and now focus on pleasant pop / rock songs, without the lyrics becoming superficial. For instance, the beautiful single Fine Shields We Are is about securing our territory with walls and barbed wire. Online privacy is central to Copy That Line. Other top tracks are Money, Brighton and Hove, You Can’t Be Wrong (trumpet), Left Of Centre and Basically Your Love. Welcome back, guys. In 2014, the albums This Is Welfare (known for the 1983’s unique and timeless cult classical hit, 25 in the Dutch Top 40) and Under The Surface (with the only other attempt at Top 40’s success, Another Sunny Day, stranded incomprehensibly in the Tipparade) were released on hip digital music media. These two masterpieces didn’t seem to be outdone and in 1987 the Dutch stopped, despite much attention from the VARA radio and a performance during the 1984 national anti-nuclear weapon demonstration on The Hague’s Malieveld. The lyrics of The Dutch are still full of social criticism in 2017; refugees and online privacy are typical themes and gloomy as the dark side of the eighties. Alternated with personal and narrative songs, Four is equally accessible and modern as the entire previous oeuvre of the intelligent and originally playing The Dutch. Like one says in good Dutch, still going strong! 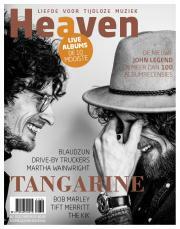 Two years after the ‘reunion show’, celebrating the re-release of two albums of The Dutch, the band are in the upper room of Paradiso again. This time the quartet presents a new album: Four. At the start, singer / guitarist Hans Croon mentions that they will play all the tracks of Four. So tonight will not be a trip down memory lane, that much is clear. The band begins with the heavy album opener Money and then a four piece horn section joins the band on the stage of the sold out Paradiso to invigorate the great song Brighton & Hove. The band sounds tight anyway and with four vocal microphones and (sometimes) the horns, it definitely is a powerful performance. Basically Your Love is also played beautifully and the band deals a blow to the US president-elect with Bye, Ministry Man – although when writing this song the band had an electoral defeat for Mr Trump in mind. Mr Taxi Driver remains noteworthy and to further enrich the sound of the band, Croon reaches for the 12-string guitar. His brother Bert (keyboards / vocals) plays the mandolin in the fine song Left Of Centre. It only adds to the color and richness of the performance. Is This Your House, with its high impact bass riff, reminds us of the new wave sound of yesteryear. The Dutch is not a one trick pony. The only old song between the new work is, surprisingly, Out Here Where The Caveman Dwells, the b-side of the single America from 1985, which was also on the album Under The Surface. After this, the recent single Fine Shields We Are, getting a fiery performance and Copy That Line, about online privacy, with an almost eerie intro ( “I’m scared!”) especially stand out. With the horn section on stage the show, that gradually grew stronger and stronger during the evening, ends with the highly personal song Father and the more uplifting You Can’t Be Wrong, both played with conviction. The Dutch soon comes back for an encore and play – thank you – the grooving Nous Sommes Très Petits from 1982 and the “hit” This Is Welfare, a song that was stunningly beautiful and 33 years later still is in the Paradiso. This first-rate encore puts a hearty exclamation mark behind a great performance. Sunday November 26, 2017 was the first Sunday Sessions show in Q-factory Amsterdam, with Téte, Bror Gunnar Jansson and The Dutch. The last comers, The Dutch, are eager to enter the stage at five o’clock. The Dutch is a Dutch collective that I honestly did not know at all, which says more about me than about The Dutch, because Hans Croon (vox / guitar), Bert Croon (keys / vox), Jan de Kruijf (bass) and Klaas Jonkmans (drums) were successful in the early eighties with music that was related to the Dutch new wave. The Dutch set their own sound by means of the piano and the fretless bass but also by the political lyrics by Hans Croon. The band toured the Netherlands in the eighties and were regular guests in the Paard van Troje, the Milky Way and of course Paradiso. During their show at a school reunion in 2014, where they once played at the school’s end-of-year party, the band started playing together again once in a while, says Hans Croon in the mini-interview with Marc Stakenburg. A lot of people come to see The Dutch, are they old students or are they the older groupies of the band? We don’t know, what we do know is that this Sunday afternoon in Amsterdam, very good quality music is made. We hear that there is a new album, called Four, and another one in the pipeline, to be released in 2018. Good news for the die-hard fans of The Dutch! Hans Croon plays a beautiful blood-red Gibson of which the full, pure sound of ‘Spellbound’ fills the room. Bert Croon on keys is now so enthusiastic that the Nord almost tilts the standard; Bert is also the one who wants the real studio sound to sound on stage because he also handles the laptop where the special effects are controlled; during which Hans sings through a megaphone. The heavier songs are accentuated by a beautiful, literally flashy, light show; something that the older fan does not completely break away from, according to the comments next to me. Personally I think it’s great, but we are used to it now. The songs are not flooded with lyrics but they sound good. We hear critical texts about Silicon Valley but also about Dutch politics with ‘Left Of Center’ in which Hans Croon impresses with the twelve-string Danelectro. Meanwhile, we are already on the second round of appetisers which Tornado Concerts is offering to the public and so this first edition of the well-attended Sunday Sessions is slowly coming to an end. Before we get that far, we hear ‘Brighton & Hove’ about thé music scene (after London) of the UK but also the city where the LGBT community can feel completely free. ‘Bye, Ministry Man’ is another society-critical song on a cheerful melody line, about Donald Trump’s unexpected election as POTUS. Unfortunately for America and the rest of the world we now know that the man ended up in the Oval Office … ‘Mr. Taxi Driver ‘is a song that reminds me a lot of the sound of Paul McCartney’s band Wings. The Dutch are a bit too civilised to my taste, they could play a bit rougher, however the quality of this band is beyond doubt. The song that stays with me the most is ‘Fine Shields We Are’ about the way Europe deals with refugees, the effects of guitarist Hans Croon are fantastic. It seems like the men are only getting steam now … ..the slide on the resonator guitar in ‘Out Of Your Mind‘ is phenomenal! Even though The Dutch would rather not be reminded of ‘This Is Welfare’ anymore, the 1983 hit that stood in the Top-40 for five weeks is still on the set-list. Once again I can enjoy the sublime – fretless – bass of bassist Jan de Kruijf in ‘America’ and then the first Sunday Sessions in the Q-factory is a fact. The second part of the evening will be taken care of by The Dutch, the band that has been ‘back’ for a couple of years and seems to be nearing their first heyday in the eighties in terms of productivity. The band presents Werkman, their fifth album, released earlier this year. Werkman was inspired by the Groningen artists’ collective De Ploeg, which celebrates its 100th anniversary this year. One of main artists within De Ploeg was H.N. Werkman. First song Nous Sommes Très Petits (1982) still impresses after all these years and is an excellent kick-off for a performance with lots of new material, including work from Four (2016); the catchy pop rock of Money invites you to dance, the serious Fine Shields We Are to contemplation. It is nice to hear the commendable Werkman live: good pop songs, original themes and ditto lyrics. The poem Somire Mare Maksi, part of the song So Long H.N. Werkman, just like on the album, comes from none other than Job Cohen. His entrance on the stage is a photo moment. 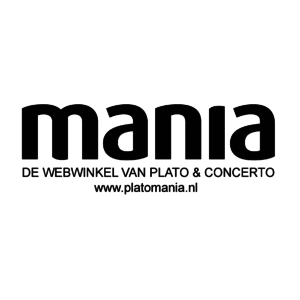 The band sounds solid and all the band members come out nicely, especially the bass of Jan de Kruijf is fine in the mix; good for a special ‘live experience’. For the famous singles Another Sunny Day and This Is Welfare, he naturally grabs the fretless bass: very beautiful atmospheres, indestructible songs. But also the more recent Brighton And Hove is actually just a song that had undoubtedly made it to the top 40 in the radio landscape of yesteryear. Surprising, although not for the first time live, is Out Here Where The Caveman Dwells, a B-side from 1985. It is one of the many beautiful moments on this very well-filled Monday night in Paradiso.